From January 12th until June 7th 2015. 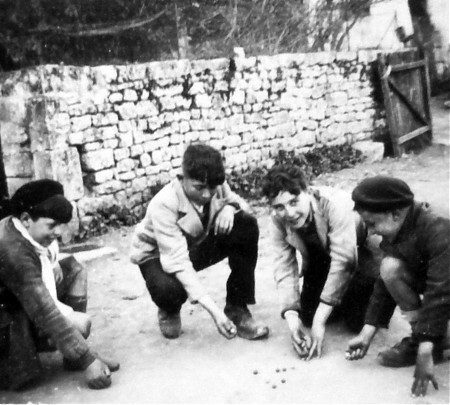 From Mars 1942 to August 1944, the methodical hunting down of Jews by the nazi authorities and the French Vichy government cause the deportation of 76 000 Jews - including 11 400 children – from France to the death camps. Only 2 500 survived. Facing that kind of persecution, the Poitou region – close to the demarcation line - become a shelter and a path to the exile. Active help from the population, mutual aid networks and Jewish and non-Jewish resistance organisations saved hundreds of people. 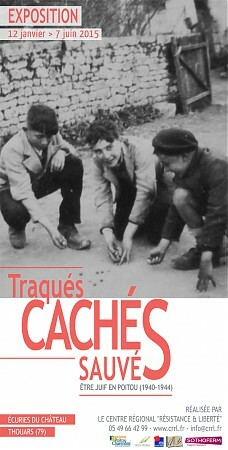 The exibition offers, through numerous documents and testimonies, an unprecedent look on the rescue of the Jewish families in the Poitou region. It reveals a large variety of individual paths, the motivations and the means of rescue while demonstrating the complexity of the situations in the historical context. The ticket for the permanent exhibition offers you a free access to the temporary exhibition. Free of charges : children under 12 , member of the CRRL association. During Winter and Spring holidays, a guided tour (in French) is proposed each Tuesday at 3pm. If you need a tour in English, it is possible to organise for a group (10 persons minimum) with a reservation. Adult : Communauté de communes du Thouarsais : 3,50 €. Outside Communauté de communes du Thouarsais : 4 €. Free for : - 12 ans. Possibilité tarifs réduits.